Marco Rubio confirmed Thursday that Russia targeted his campaign team both during the election in July 2016, and as recently as Wednesday. The attacks were not successful, according to Rubio, who spoke at the second half of the Senate Intel Committee hearing on Russia's influence in the presidential election last year. 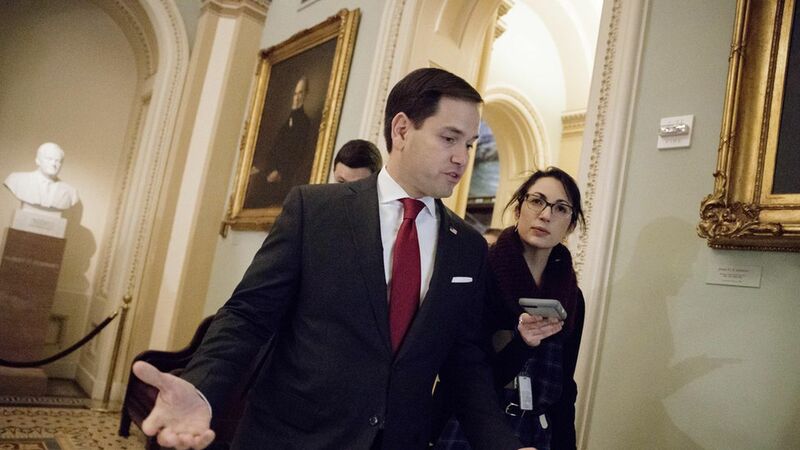 This morning, one of the witnesses, Clint Watts, a senior fellow with the Foreign Policy Research Institute's program on national security, said that Rubio had "suffered from" Russian attempts to knock down competition in the presidential election. Rubio looked taken aback and started whispering with an aide.